i'm thrilled to be a part of a new feature this year at ellen hutson, things we love! all of the classroom designers have complied lists of our crafty favorites and we are sharing them with you, along with a super cool ellen hutson giveaway and a discount too! check out my favorites and make sure you scroll down for the code and to enter the giveaway! for a chance to win, just leave a comment on this post between now and friday, december 11th. Your cards are lovely. Some of your favorite products are my favorite products, too! Thanks for sharing your list! I'm so glad I spotted the Delicata Ink Quartet, I didn't know it came in bronze and copper so I've added it to my list! I like that you picked a laminator as one of your tools. So much better for the budget than the Minc machines. 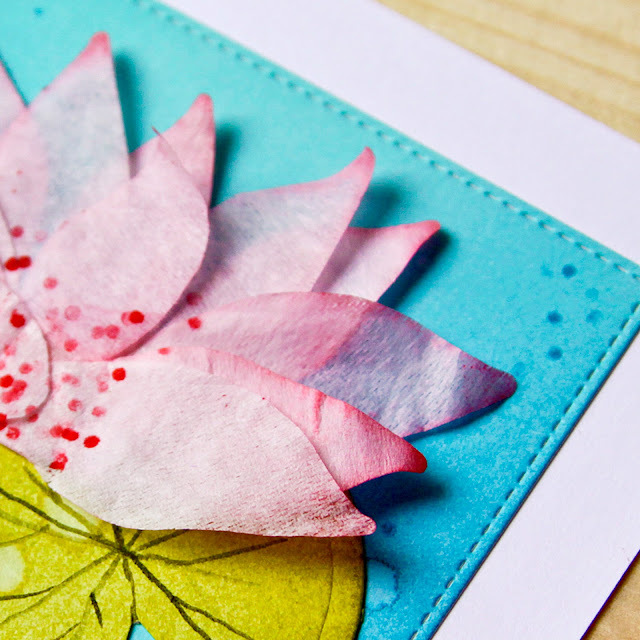 I will be watching for your post using the poinsettia stamp. I enjoy seeing everyone's "favorites" so much, and the sneak peek of your Mondo Poinsettia card in gold/green? is beautifully elegant. Can I say ... I really *need* those Mondo Poinsettias ... gorgeous. I love seeing the lists of favorite things: That Hearth and Home die and stamp set of Essentials by Ellen have been on my wish list quite a while. I love those Mondo Poinsettias, your card peeks with that set are GORGEOUS! I really love the colors you used. Thanks for the help with my Christmas list! Great picks! I have been coveting that mondo poinsettia! OMG I love that poinsettia set! And why have I never heard of the Cosmic Shimmer Flake? That sounds right up my alley! Love the cards and thanks for the great list! So many great picks, and now I want everything on your list! Your cards with the poinsettia are so creative and I love how you used different techniques. WOW - what a WONDERFUL variety of favourites Carly - great to see that I'm lucky enough to have some in my stash, like the PPP sequins, Stardust Stickles, metal adaptor plate and gold Color Shine :) Great to see bundles of goodies that are on my wishlist and several I have not considered before. My favourite tool is a combo of my Big Shot, metal adaptor plate and release paper, together they have taken my crafting to a whole new level. I confess that die storage is a challenge for me, I often spend more time searching for the dies I need that doing the actual cutting, so I'm very keen to learn more about the magnetic die storage. LOVE the sneak peek of your MAGNIFICENT mondo poinsettia is a DELIGHT, PURE MAGIC, can't wait to see the entire card and learn more!!! Love your faves! 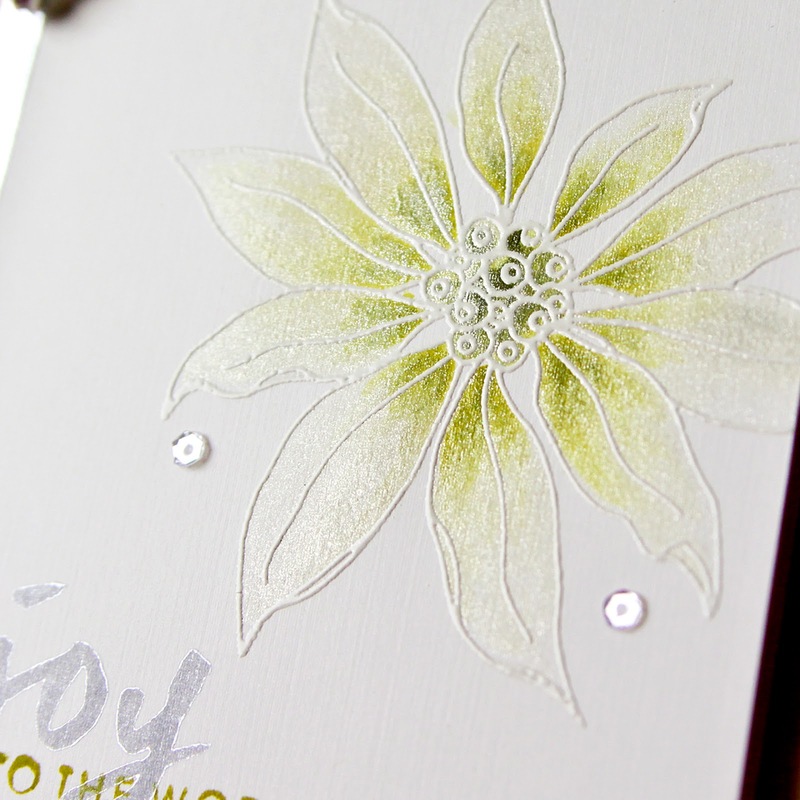 The mondo poinsettia stamps and dies are one of my favorites too!! Thank you so much! I love everything you picked out!! And thanks for the giveaway, that poinsetta is so beautiful!!! Love the card you created with it! Love seeing your favs...fab sneak peeks! Thanks for sharing! So many things to add to my wish list!! Great to see your list of favs! That poinsettia looks awesome, I love the white/pale look. Thanks for sharing your favourites...love poinsettias. Love the idea of sharing your favorites. Now my wish list is even longer. Your sneak peeks of that beautiful mondo poinsettia look gorgeous, Carly. Thanks for chance to win goodies! What incredible cards! I love the poinsettia set you used - just stunning! I'm so glad I found your blog again as I was finally able to track down one of my favorite CAS cards that I had seen pinned by another pinner. Definitely not missing your blog again as you've been added to my feedly! Mush of your list is on mine, too! What a fabulously shiny poinsettia!! Thanks for sharing. Might have to add the Poinsettias to my wish list after seeing these lovely peeks. P.s. I'm unable to comment from my desktop, so had to use my phone.